Kardashians: We Found Why They Are Famous! It is often questioned why are the Kardashian's famous? They have no apparent skills or talent. None them can sing, dance or even act. If anything, it's fair to say they are annoying to most, yet we see them everywhere. Sad fact is that many people can name all the members of their family but cannot name any of the two the Senators in state they live. A recent study showed 41% of Americans do not know Joe Biden is the Vice President, yet know what Kim K. is up to. 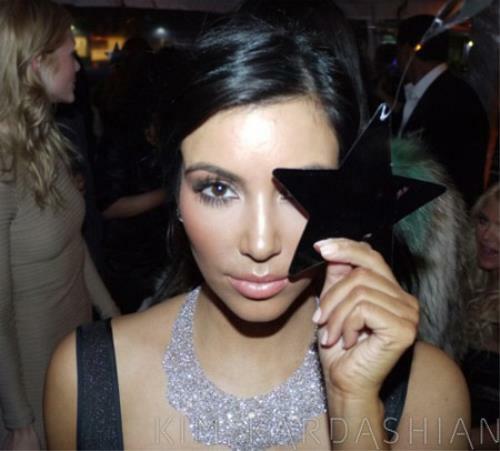 The fact is that the Kardashian clan DO have a talent, they are the PERFECT puppets. They fit all of the qualities and perform the duty better than anyone. They will do anything for money/fame, they are morally poor and actually have no problem and apparently enjoy performing tasks most would shy from. The larger their profile and audience becomes the more symbolism they portray, as is normally the case. Their 2013 Xmas card pictured above contains no tree, no Santa, no reindeer's but has two pyramids. The family kingpin Kim recently tweeted the above Pyramid/Eye photo. 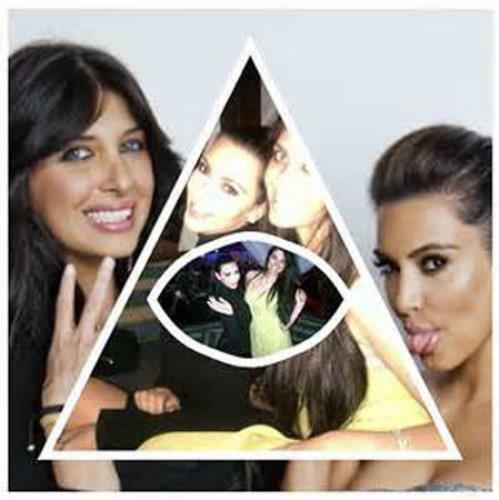 After being hounded by Illuminati accusations she tweeted: "I posted a IG (Instagram) collage for my bff @BrittGastineau & people say its the illuminate! What is the illuminate? A religion?...I'm a Christian." The illuminate (sic) - that's really funny Kim, check the spelling on your checks.